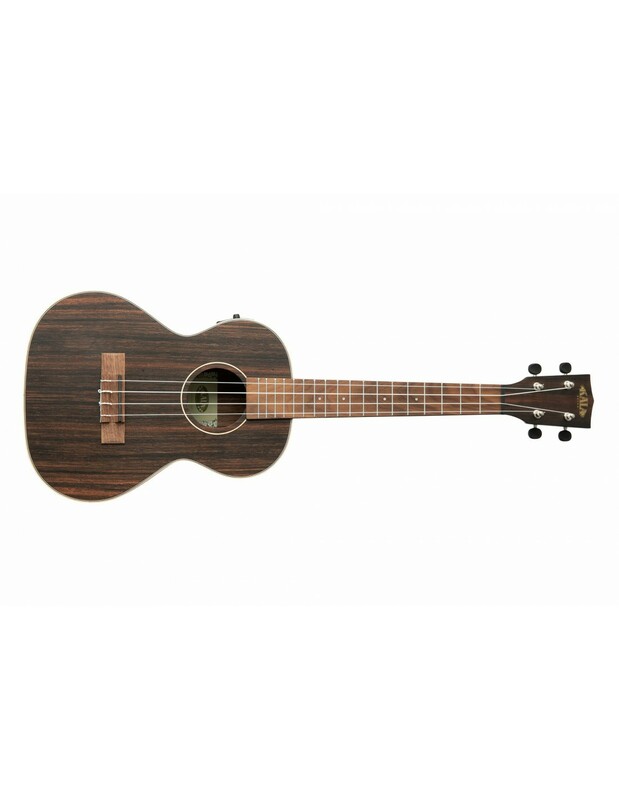 A dark wood will always look luxury no matter what the cost so whenever you see a dark wood ukulele boasting to be "ebony" or "rosewood" we become instantly suspicious but when recieved this ebony tenor ukulele we couldn't help but gasp at the quality. The chime of them and the bold dark and light lines penetrating the grains look fantastic and make for a terrific piece of eye-candy. And is made even better when you include a great pickup system!